Color eyeliners can make or break a look. They give a refreshing change from regular black eye liners, add pop of color to your look, can add a spark of drama to your natural looks and can also add glam to your bold looks; only if worn properly. 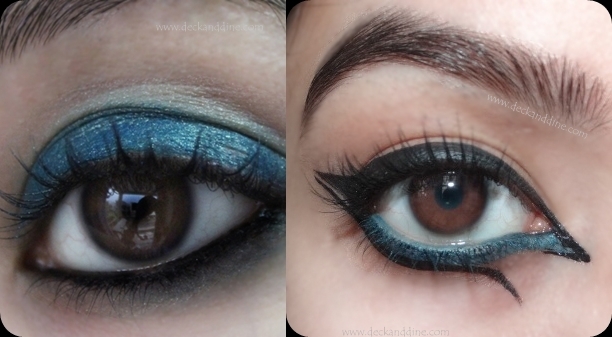 I love colored eye liners and blue is my favourite amongst all. Today I’ll be sharing a review of a blue eye pencil from the house of Clinique. It is Lanky Lapis from their skinny stick range. This is super slim, retractable style pencil eyeliner. No sharpener required and is designed to deliver a precise stroke easily and effortlessly. The fine tip really makes it easy getting up close to the lash line. You can go on thick and thin as per your wish. Lanky Lapis is a beautiful bluish teal with minute silver shimmers. It truly enhances the appearance of your eyes. I feel the texture is slightly on the drier side and the nip kind of feels brittle, but glides on pretty nicely without tugging. But one should pay attention to the pressure. I broke the tip when swatching. It is nicely pigmented and gives a soft wash of color in a single swipe. If you want a bolder look, you just have to build the color up; it is not that tough. The liner stays for about 7-8 hours on my upper lash line without smudging and around 5 on my lower lash line. 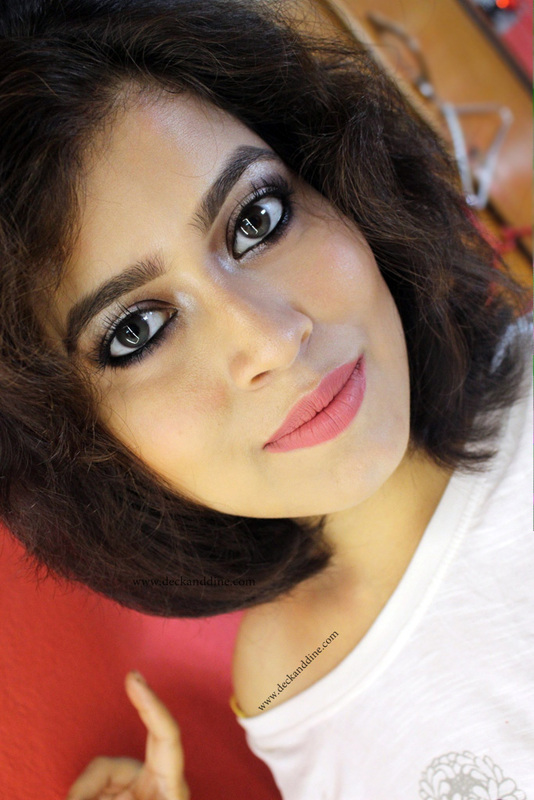 If you want a refreshing change from your black eyeliner and want to try something from the high-end brand, then you can definitely go for this range. I am eyeing the white colored pencil from this range; it was so white, so creamy and so pigmented, the best white I swatched so far. Unfortunately it was OOS at the counter. As per the other shades, they aren’t exactly non-dupable. You can get similar shades at much lesser rates.